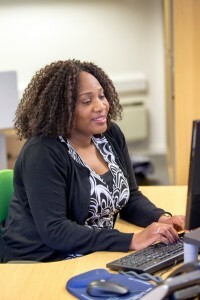 Velocity business Adviser Bisola Orimalade outlines four strategies that you can use to improve your search engine optimisation techniques and to boost your ranking among search engine results. Google values high quality content that is relevant to its users, so make sure that your text is unique, relevant and keyword-rich in order to propel yourself up its rankings. Of course, finding what to write can be difficult and time-consuming, particularly for the recommended 1500 words optimum length and so you should start by researching and brainstorming key phrases related to your products and the needs of your customers and then plan your content around those phrases. I suggest that you don’t use too many key phrases and that you use them sparingly. Another tip for writing quality content is to include supporting quotes from articles that your customers will find interesting; remember to include links back to the full articles. Social media plays an important role in optimising your website. Be sure to include your web or blog address in the ‘About’ section of your social media platform and to link back to your website when posting updates. As Google is now indexing tweets, you should use Twitter to share the links to your authoritative content so that it is more likely to recognise you as an authority on the subject and so that other users are encouraged to follow you and to share your content in turn. This is an excellent way to gain the back-links that will improve your ranking. Up to now, I have concentrated on how to boost your search results organically, although there is also a place for paid-advertising in your online marketing strategy. In 2012, Google reported that even for sites “claiming a number one organic ranking, paid advertisements provided 50% of incremental clicks, meaning that half of the visits to top-ranking sites would not have happened without the presence of paid ads”. These findings remain current today and so make sure that you consider paid-advertising as part of your online marketing strategy. If local trade is a significant element of your business model, a good place to start your search engine optimisation is to set up a free ‘Google My Business’ account linked to your Google+ account. Make sure that you complete all of the fields and that you share content that links back to your website. Encourage your customers to leave reviews on ‘Google My Business’ too, as this will go a long way to improving your ranking. These four steps are a great way to start your journey through search engine optimisation and whether you are in it for the long haul or just want to understand the lie of the land, your local Velocity business adviser will help you to navigate your way through the terminology and techniques to arrive at the appropriate approach for your business. Call us now on 0300 01234 35 to make an appointment.